A Disgruntled Republican in Nashville: Big crowd for pro-Trump Spirit of America rally in Nashville. Big crowd for pro-Trump Spirit of America rally in Nashville. America Great Again ball cap and joined a crowd of about two thousand as we waved signs and applauded as speakers promoted the Trump agenda at the Spirit of America rally on Legislative Plaza in Nashville. The rally began about 11AM and was still going strong when I cut out early about 1PM. A small group of maybe twenty protestors gathered at the foot of the stairs on the east side of the Plaza. They were loud and obnoxious and two were arrested, one for attempting to incite a riot and the other for theft of property and resisting arrest. Several of them were dressed in black and wore face mask. Why, I don't know. I am not sure if that was so they could not be recognized if they engaged in illegal activity or if they are paranoid and think big brother is watching or if that was supposed to be intimidating. There was a heavy State Trooper presence at the event keeping order. The program was organized and MC'ed by Mark Skoda, a tea party activist from Memphis. 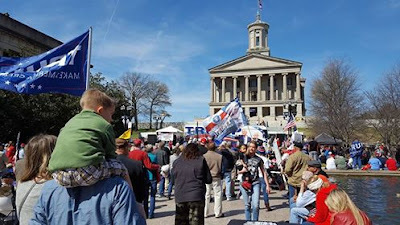 Speakers included Tennessee House Majority Leader State Rep. Glen Casada, Gateway Pundit founder Jim Hoft, member of the Tennessee Republican Party and political activist Rebecca Ann Burke, radio talk show host Ralph Bristol, State Rep. Judd Matheny, and Senator Mae Beavers. A person ran by our table this morning while we were setting up & snatched Trump tee shirts. Just so happened I was 5 feet away w/a state trooper...we chased after...he called backup...in seconds 15 officers descended on the scene all chasing the person down Deadrick! Because of the hoodie we did not know until troopers nabbed...it was a millennial GIRL! I saw her stash the tees in the trash, retrieved them while officers got her!! We pressed charges, she is in jail for theft! To read the Brietbart news coverage of the event follow this link: Huge Crowd at Nashville Spirit of America Rally in Support of President Trump. To read The Tennessean's coverage see, 2 arrests reported from Trump rally in Nashville. To read The Tennessee Star report see, Angry Protesters Hurl Obscenities at Trump Supporters. To see segments of Rebecca Ann Burke's rousing speech see this Facebook post. 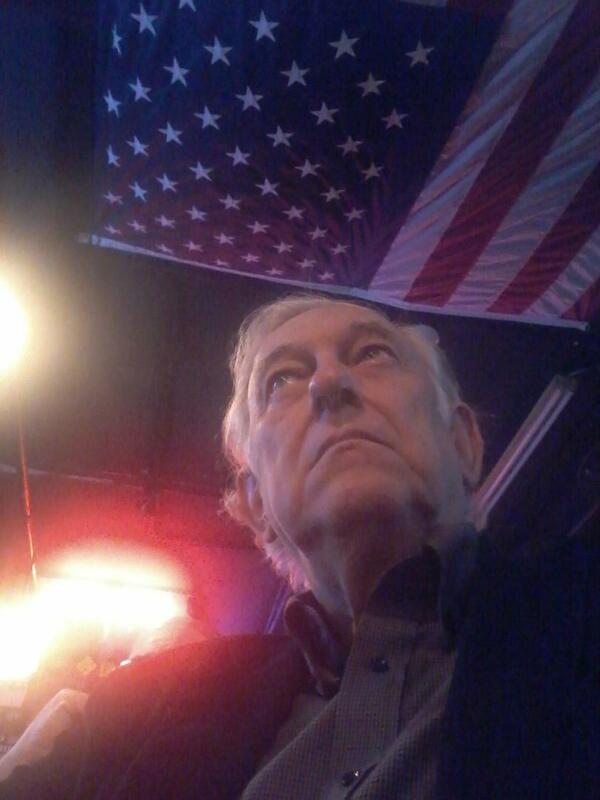 To read former blogger and news photographer Bill Hobbs' Facebook report on the counter protesters follow this link.